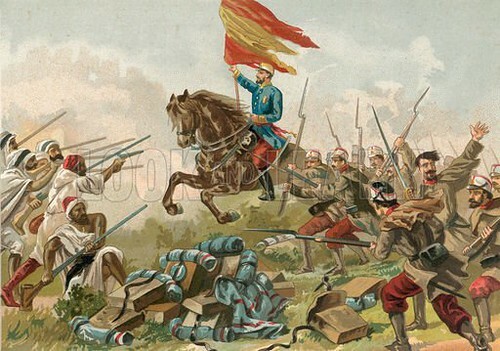 Posted in Uncategorized	| Tagged 1859, 22 October, Spain declares war on Morocco. The stock market panic of 1907 occurs. 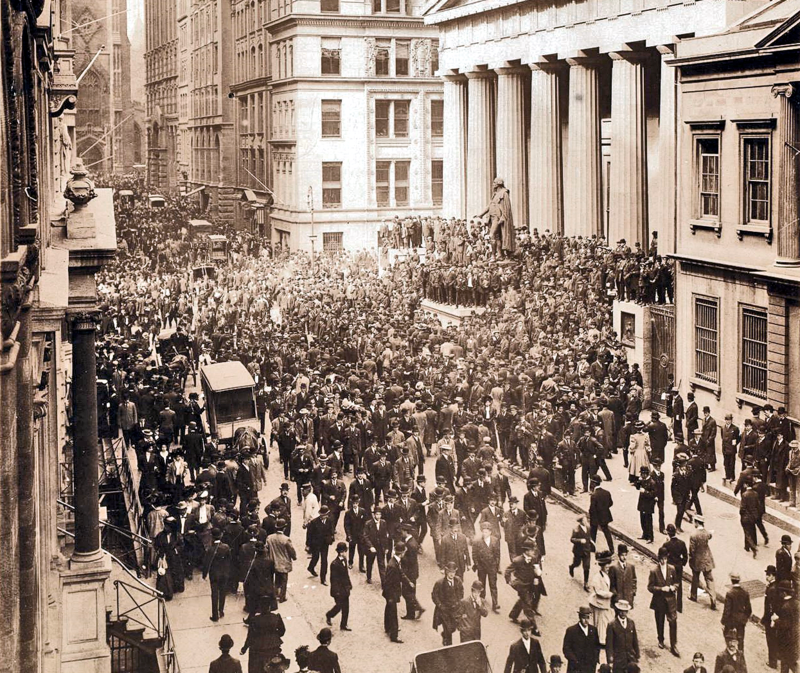 The Panic of 1907 also known as the 1907 Bankers’ Panic or Knickerbocker Crisis was a United States financial crisis that took place over a three-week period starting in mid-October, when the New York Stock Exchange fell almost 50% from its peak the previous year. Panic occurred, as this was during a time of economic recession, and there were numerous runs on banks and trust companies. The 1907 panic eventually spread throughout the nation when many state and local banks and businesses entered bankruptcy. Primary causes of the run included a retraction of market liquidity by a number of New York City banks and a loss of confidence among depositors, exacerbated by unregulated side bets at bucket shops. The panic was triggered by the failed attempt in October 1907 to corner the market on stock of the United Copper Company. When this bid failed, banks that had lent money to the cornering scheme suffered runs that later spread to affiliated banks and trusts, leading a week later to the downfall of the Knickerbocker Trust Company—New York City’s third-largest trust. The collapse of the Knickerbocker spread fear throughout the city’s trusts as regional banks withdrew reserves from New York City banks. Panic extended across the nation as vast numbers of people withdrew deposits from their regional banks. A collapsed mine in Blantyre, Scotland kills 207 miners. Venera 9, the USSR unmanned space mission lands on Venus. Jean-Paul Sartre is awarded the Nobel Prize for Literature. He turns down the honor. A run on the shares of the Knickerbocker Trust Company sets events in motion that will lead to a depression in the “Panic of 1907”.